Sarah is honored to be part of the Advisory Council for the Challenger Center, the non-profit science, technology, engineering and math (STEM) education organisation. Sarah will be joined on the council by other distinguished individuals including President George H.W. Bush, Mr Norman Augustine, Senator John and Mrs Annie Glenn, all of whom will be lending their diverse talents and support of STEM education to help expand the organization’s reach with today’s youth. 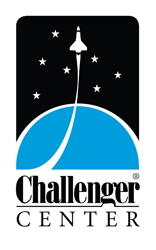 Challenger Center and its network of more than 40 Challenger Learning Centers engage students in hands-on experiences that strengthen knowledge in science, technology, engineering and math (STEM) and inspire students to pursue careers in these important fields. As a recognized leader in STEM education, Challenger Center uses state-of-the-art technology to create simulated space missions that bring classroom lessons to life. Students are transformed into astronauts and engineers and solve real-world problems as they share the thrill of discovery. Founded in 1986 to honor the seven astronauts of shuttle flight STS-51-L, Challenger Center has reached more than 4 million students around the globe.